outstanding performance by leveraging patent-pending driver technologies and the renowned JBL Image Control Waveguide. All models integrate with the Intonato 24 Monitor Management Tuning System, which provides intuitive remote control and calibration. 7 Series monitors are equally at home in stereo, surround, and immersive-audio production rooms. Our patent-pending JBL Image Control Waveguide brings exceptional clarity and detail to all 7 Series models. First introduced in our flagship M2 Master Reference Monitor, the waveguide ensures an acoustically seamless transition between the low- and high-frequency transducers, and provides a wide soundstage and precise imaging. Smooth on- and off-axis frequency response allows the JBL 7 Series to deliver neutral reproduction across an expansive listening area in a broad range of rooms. 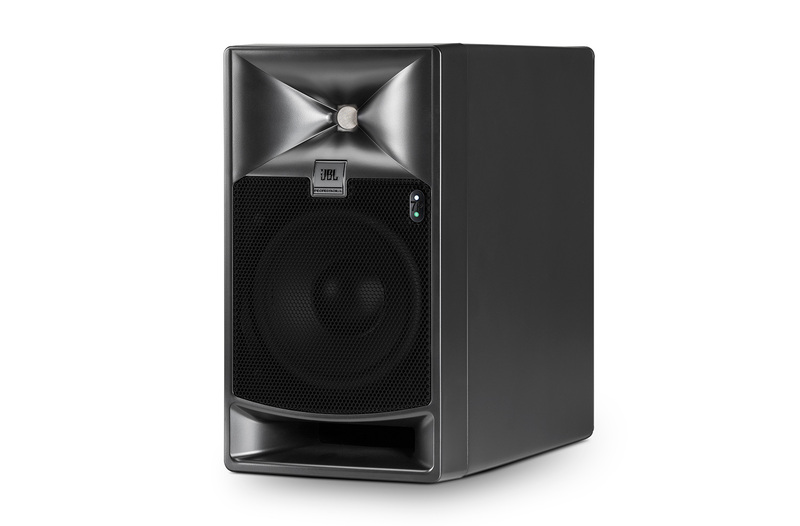 7 Series monitors leverage JBL patents and our latest driver technologies to provide unparalleled output with greater dynamic range and extended frequency response in demanding production applications. Custom low-frequency transducers utilize patented JBL Differential Drive technology to reduce power compression for more sustained output and extended linear low-frequency performance. Our low-frequency port design works in concert with the low-frequency transducer to produce an accurate bass response at all playback levels. 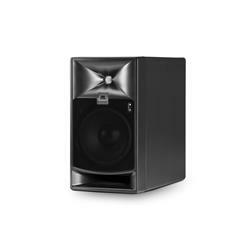 Each 7 Series monitor is equipped with a proprietary JBL 2409H high-frequency compression driver, which features an innovative low-mass annular diaphragm. This driver delivers extraordinary output, a wide dynamic range and very low distortion even at high SPLs. Competitive monitors utilize radiating dome tweeters, rather than compression drivers, that require amplifier limiter circuitry to prevent failure at higher SPLs which also negatively affects the speaker’s stereo imaging and dynamic range. 7 Series innovative compression design does not need limiting circuitry and iscapable of reproducing frequencies with a smooth response beyond 36 kHz. JBL 7 Series monitors provide construction and mounting features that make installation simple. Constructed from rugged birch plywood, the cabinets are specially braced and reinforced to allow safe mounting. Top and bottom mounting points in a two-hole mounting pattern facilitate effortless wall and ceiling installations using readily available brackets. Both vertical and horizontal orientations are supported. Integrated handles aid in speaker positioning. 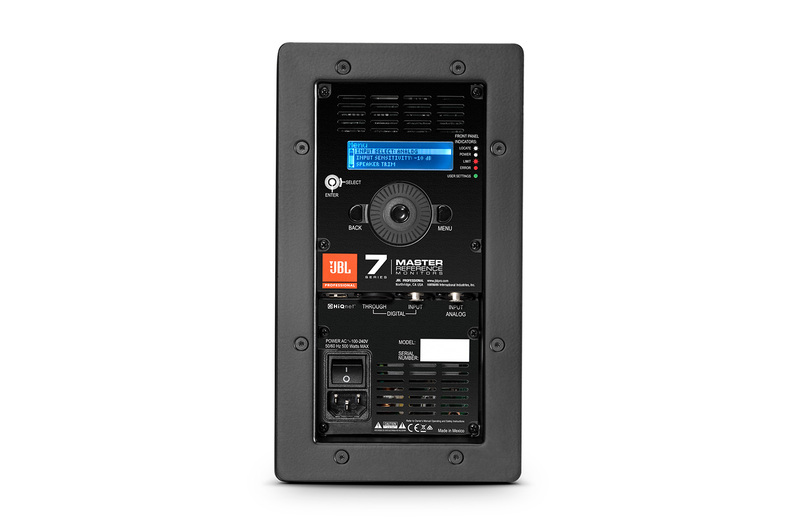 The 705i (5-inch) and 708i (8-inch) install monitors bring next-generation technology to multichannel monitoring setups in post rooms, broadcast facilities and trucks. Delivering detailed imaging, extended frequency response and remarkable output from compact enclosures, they’re centrally amplified and tuned, and easily installed. 7 Series install monitors form the heart of an elegant, scalable system for broadcast and post facilities working in immersive audio formats. The 705P (5-inch) and 708P (8-inch) are self-powered reference monitors built with the modern control room in mind. A compact two-way design minimizes interference with video displays and sight lines while providing output comparable to larger speakers. The powered 7 Series monitors feature built-in DSP allowing for integrated EQ and delay controls. You also get an AES/EBU digital input, and an RJ-45 network connection for HARMAN HiQnet connectivity. and unobstructed sight lines. The 7 Series, in conjunction with the JBL M2, offers ultimate flexibility for configuring a system that perfectly fits the needs of any facility. The JBL Intonato 24 Studio Monitor Management Tuning System is a perfect complement to any 7 Series-based monitoring system. It simplifies setup while offering precise automated calibration and complete control of monitors in stereo, surround and immersive-audio-production rooms. Intonato 24 includes a calibration microphone and innovative Automated Speaker Calibration process that “tunes” each speaker to compensate for speaker placement and room acoustics, delivering a neutral response to the mix position—even in less-than-ideal workspaces.